Model : Dolby 750 | Prahin-Inc d.o.o. The CP750 is Dolby’s latest cinema processor specifically designed to work within the new digital cinema environment. 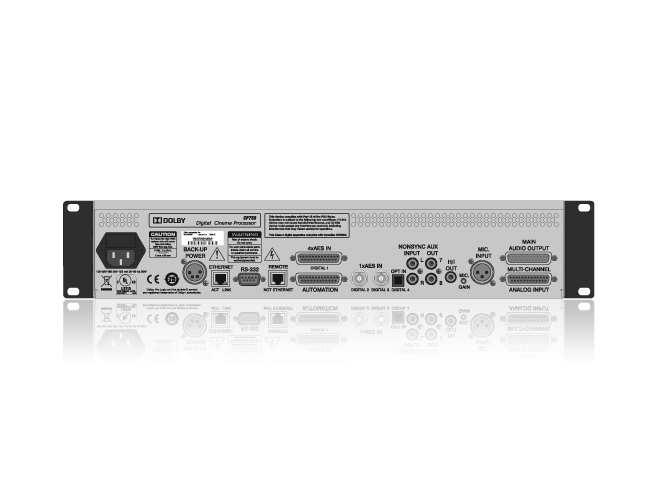 The CP750 receives and audio from multiple digital audio sources and can be monitored and controlled from anywhere in the network. Plus, Dolby reliability ensures great moviegoing experience every time. 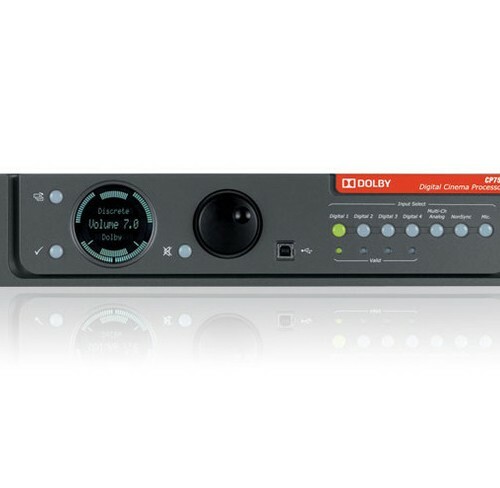 The Dolby CP750 provides easy-to- operate audio control in digital cinema environments equipped with the latest technology while integrating seamlessly with existing technologies. The CP750 supports the innovative Dolby Surround 7.1 premium surround sound format, and will receive and process audio from multiple digital audio sources, including a digital cinema server, preshow servers, and alternative content sources. 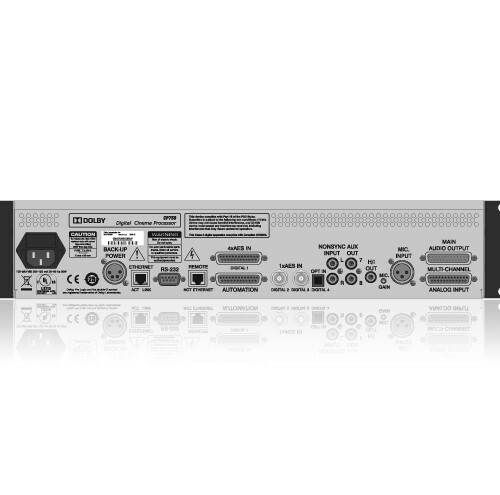 The CP750 is NOC (network operations center) ready and can be monitored and controlled anywhere on the network for status and function. 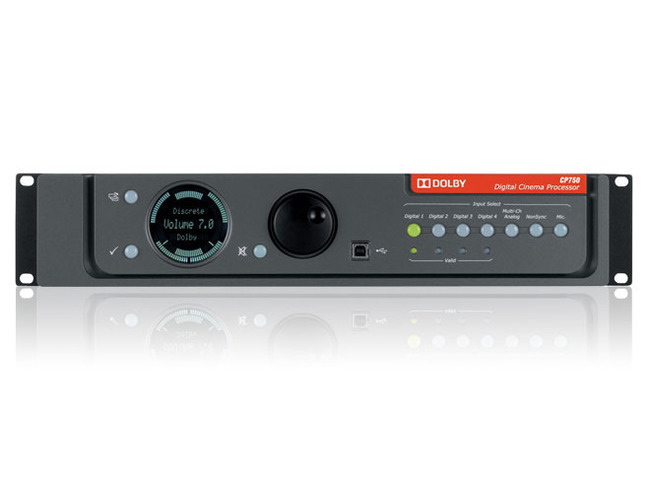 The CP750 integrates with Dolby Show Manager software, enabling it to process digital input selection and volume cues within a show, real-time volume control from any Dolby Show Manager client, and ASCII commands from third-party controllers. Moreover, Dolby Surround 7.1 (D-cinema audio), 5.1 digital PCM (D-cinema audio), Dolby Digital Surround EX™ (bitstream), Dolby Digital (bitstream), Dolby Pro LogicII, and Dolby Pro Logic decoding are all included to deliver the best in surround sound from all content sources.